The reactive paint from Heidi Swapp is really fun to play with, I made a bunch of cards using foil for my posts at Design in Papers the last few weeks. This one was made with a stencil, pink foil and watercolors. 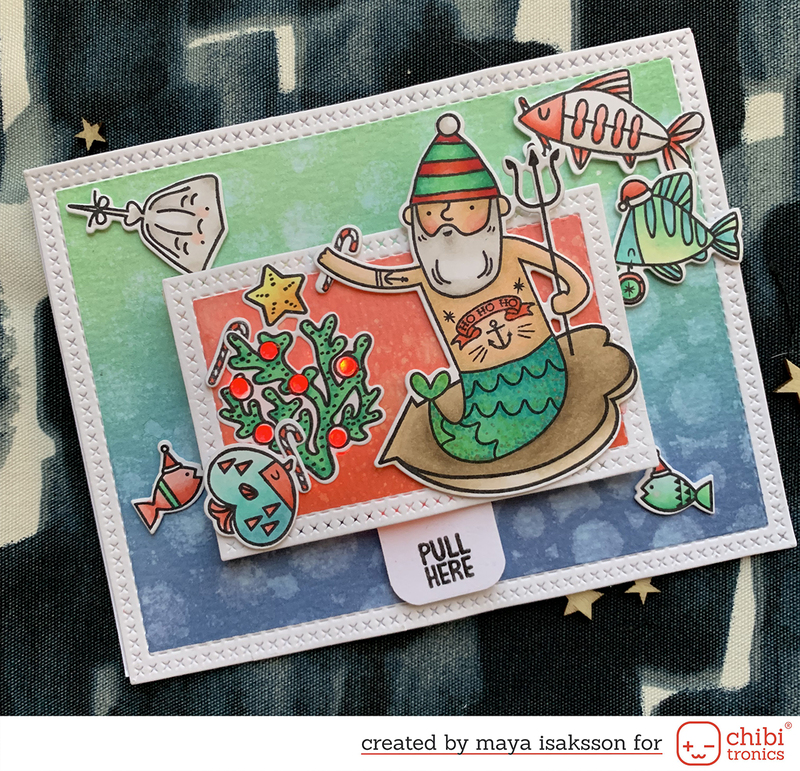 The lovely stamp is by Sheena Douglass and I double embossed it and colored with Spectrum Sparkle pens. I made a bunch of backgrounds at once when I had the foil and the Minc out, and this was the last of them. I might experiment some more and make a few more. This is super fun. I will start working on some special projects for October soon. I can't tell you more than that I'm super excited about this. You will definitely want to pencil in a visit to the blog then because you don't want to miss this :) Fun times ahead! The pink foil in the background of this card really pop's your embellishments. Great presentation!!! Okay, I am going to have to try this. 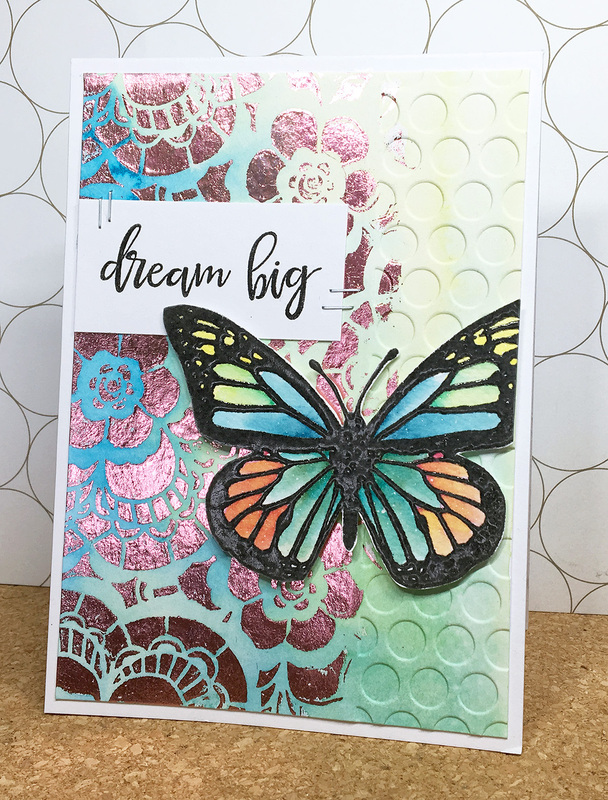 I love the way you foiled this, dry embossed and then layered everything on this card. I also like your use of the staples on the sentiment. Great card!! What kind of reactive paint are you speaking of?? I love foiling and I am interested to find a reactive paint that you are able to just add somewhere and then are able to foil!! The butterfly just tops it all off!!! Very beautiful!!! !